The following doctors & their respective clinics are the three places a Blue Carded player must visit throughout the Graduated Return to Play process. Dr Graham Currie – Victoria Clinic. Dr Graham Currie is Waikato Rugby’s match day Doctor for all home Mitre10 Cup fixtures, he also is the official Doctor of the Chiefs Development team and attends all Chiefs home fixtures as the official match day Doctor. Graham has advised his colleagues at Victoria Clinic and are available to assist with any player who is Blue Carded. Dr Gordon Tam – Redicare. Dr Gordon Tam is another of Waikato Rugby’s match day Doctors for all home Mitre10 Cup fixtures and All Blacks Test matches hosted in Hamilton. 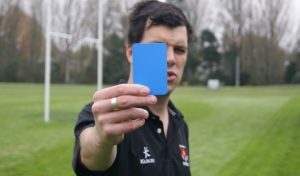 Gordon and his colleagues at Redicare have being educated about the Blue Card Initiative and are available to assist with any player who is Blue Carded. Dr John Bonning. Dr John Bonning is another of Waikato Rugby’s match day Doctors for all home Mitre10 Cup fixtures and All Blacks Test matches hosted in Hamilton. Based at Waikato Hospitals Emergency Department John is available if a Blue Carded player is taken to hospital due to another injury and is able to be seen by John. Anglesea Medical Clinic. Gate 1 Cnr Thackeray & Anglesea Street, Hamilton. Doctors at the Anglesea Medical Clinic will be available for the first initial visit that a player must make within the first 24 hours. However, that player will then be directed onto Graham Currie or Gordon Tam for their follow up appointments and will get medical clearance from Graham or Gordon. Players are required to visit one of the three above doctors within the first 24 hours of sustaining a knock to the head. The player will then follow that initial consultation with another visit a week after. The third visit will be when the player sees the doctor to have their Medical Clearance form signed and returned to the WRU 24 hours prior to kick off of their return game. We are sure you and your club will join the Waikato Rugby Union in fully supporting this very important player welfare initiative.